The 21st Annual Bones and Brew returns to the Pearl District in Portland on Saturday August 1st. 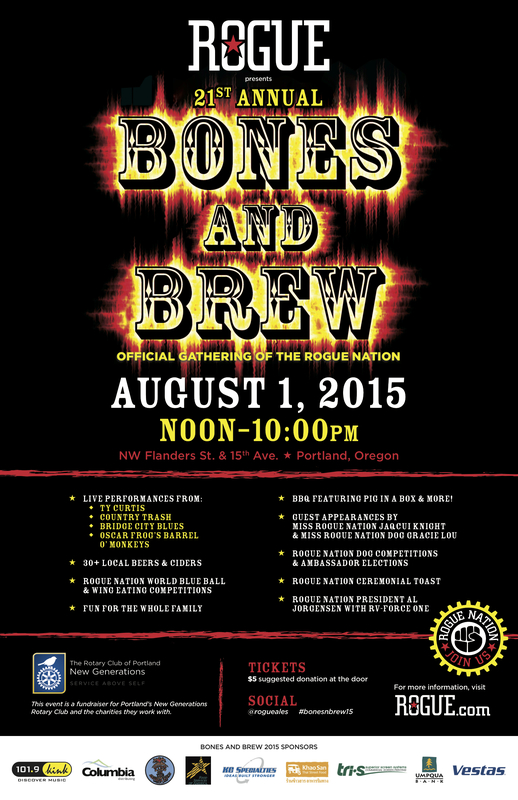 Bones and Brew is the Official Gathering of the Rogue Nation. To honor the signing of the Declaration of Interdependence by the Nation’s founding fathers, Rogue invites lovers of dogs, beer, soda, BBQ, music and fun to come together for this annual celebration. Donations benefit the Portland New Generations Rotary Club. Kids, dogs, and adults are all welcome!